How do you feel when you speak in front of a group of people? What about when you start a conversation with a group of strangers or approach someone to ask for a date? Do you become afraid? Do you worry that they’ll judge you, think less of you, or talk about you behind your back? If you’re tired of living your life in fear that you can’t handle being around other people, then this is the episode for you. Today we’ll be discussing how to work past the setbacks of social anxiety—particularly, the fear of others. The first concept to let into your reality is that social anxiety is not something to be ashamed of. You are not “less than” just because you get nervous around other people. If you really want to alter the way you interact with the world around you, you don’t need to deal with your relationship with others—you need to deal with your relationship with yourself. You don’t have to admit your fear of others to the people around you, but if you ever want to be able to get through a day in public without fear, then you’re going to have to admit it to yourself so that you can do something about it. Be honest with yourself: if you’re consistently nervous in social situations, then it’s possible (even likely) that you have social anxiety. So, if that’s the case, how do we start to address the issue? Let’s start with the basics: what kind of people cause you fear? Do you tend to get nervous around people with authority, attractive people, or super intelligent people? Do you freeze up when you are around people who you want to like you? Whoever it is, get the image in your mind of the types of people you fear most. Now that you have a clear idea of who these people are, dig a bit deeper: what is it that you’re really afraid of? Often, when asking this question, signs point to a fear of rejection—we are worried they’ll deny you admittance into the group, judge you unfairly, or think less of you. In this case, you’re afraid of their thoughts and emotions toward you. Other times, the fear might be based in embarrassment: fear that you might say or do the wrong thing. In this case, you’re afraid of your own thoughts and emotions. In the end, what do these two things have in common? A fear of discomfort. Whether you’re facing a fear of rejection or embarrassment, you’re really just afraid of the pain that will accompany them. But let’s take a moment to ask a very important question: WHY? Why does a person’s judgment cause us discomfort? Why should the way someone else feels about your hair or voice or clothing or job make you feel anything other than normal? Why do we let the thoughts of others affect our own thoughts and feelings? The short answer: we’re not secure in ourselves. The only possible way for someone to undermine your confidence is if you don’t have much to begin with. They’re out of their minds—my hair is on fleek. I don’t know who’s giving them style advice, but they don’t know what they’re talking about. Ugh, they’re right. This outfit is so dorky and uptight. I HATE this new haircut. I wish I’d never gotten it. The long and short of it is that we deem someone else to be an authority on a given subject, and the second they question our way of doing things, we feel like crud. Now, ask yourself: Is this really how you want to live your life? Why should your beliefs, feelings, and general sense of yourself be invalidated so easily? 99.9% of the time, it’s because we are constantly undermining our self-esteem with an abusive inner critic. We tell ourselves that we’re not good enough, smart enough, or confident enough . . . and we repeat that idea in our own minds so much, that we stop questioning it altogether. So, how do we put an end to this problem? Step one: regain your control of the guiding voice in your head. 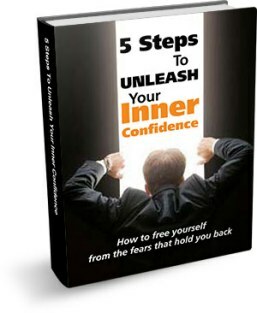 In fact, this action is so important that it’s step one in my free ebook, Five Steps to Unleash Your Inner Confidence (which can be found on my website, SocialConfidenceCenter.com). By addressing your toxic inner critic—or by “firing your toxic coach”—you remove the voice that’s constantly berating you and ramping up your sensitivity to the judgments of others. 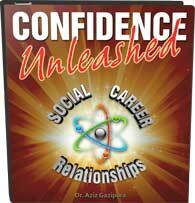 This will allow you to become vastly more secure in yourself and comfortable in your own skin. This, in turn, will actually make you a more pleasant and easy person to be around, thereby making you infinitely more attractive to others. So, here’s your challenge: the next time you feel yourself getting anxious about being around others, redirect your focus away from them for a little while and ask yourself if there is anything you can do to get right in your own mind. You might find that the answer is to get on your own side so that you are not so shaken by every perspective but your own. As always, I ask that you please share your thoughts, questions, and experiences below! What people and judgments scare you the most? What experience from your past may have caused you to invalidate your own beliefs in this area? Please share the concepts and learning moments that have made a difference for you so that we can all continue to benefit from each other’s wisdom.